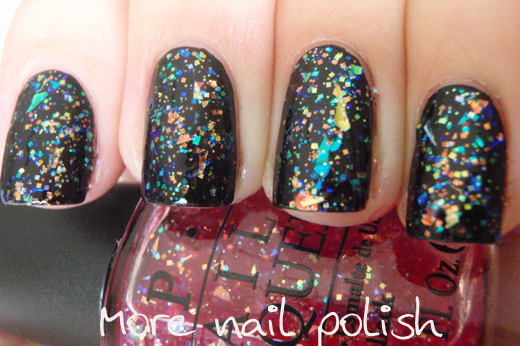 At the end of November I saw a swatch of OPI I Lily Love You over very dark purple on Shatter me Claire's blog. 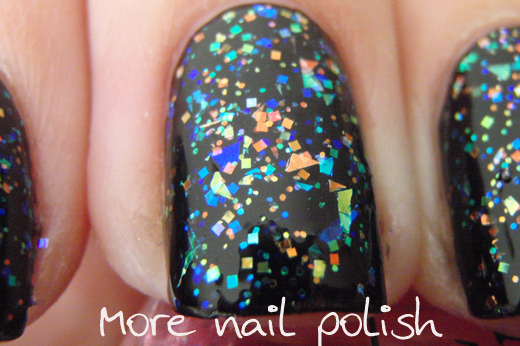 I hadn't realised until then what an amazing flakie and irridesent glitter polish this was. I'd seen swatches of it on it's own, but it really grabbed my attention over the dark colour. So because of her blog post, off I went and grabbed this polish. The base to I Lily Love You is a really sheer pink jelly. I don't think you would be able to get it opaque on it's own. Here is two coats, layers over a black base. 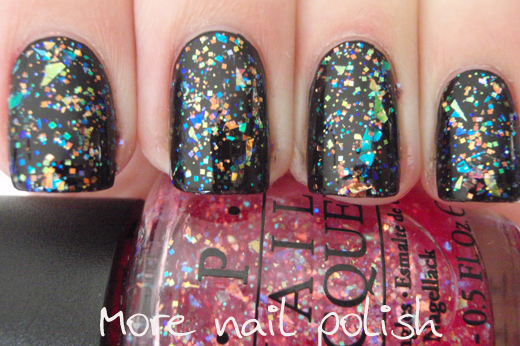 Thanks to your blog post Sarah Claire, I now have this beautiful polish. Do you have I Lily Love You? And have your tried it over a dark colour? Reminds me Color club covered in diamonds! 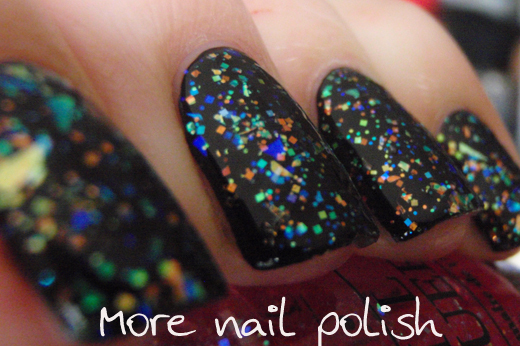 This nail polish looks gorgeous over black! I got I Lily Love You in the mini set but I kind of wish I picked up a full size bottle :) It's a really fantastic interesting top coat. 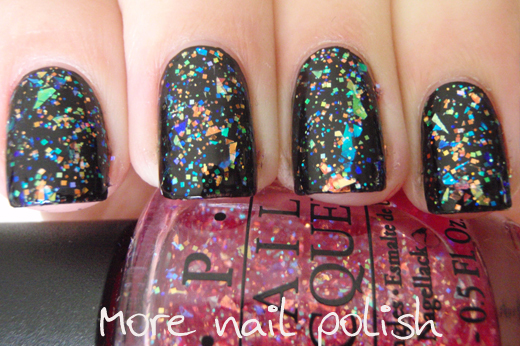 What an awesome polish! It looks great over black. Never thought to try it over a dark base, Ive kept it with pinks. I for sure will try this soon! I have it on now!!! I've been looking for I Lily Love You for ages and found it yesterday! 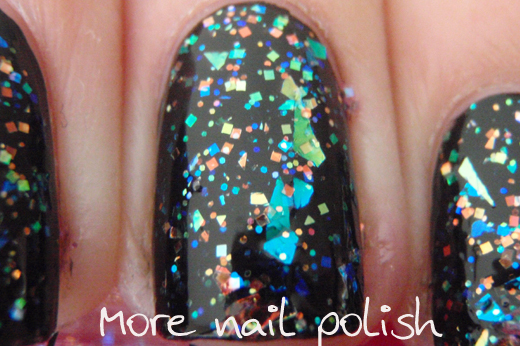 Currently am wearing it over China Glaze First Mate with an extra top coat of PP Festival to add some more colours. It's awesome! I Lily Love you looks fantastic over a dark color! Wow that is amazing, fab flakie, thanks for sharing x *goes off to see if I can find this on Ebay* !! This looks so fantastic over black! looks fab! i really want try it! where did you get the OPI i lily love you? ?